Police say a white full-size extended cab construction truck parked next to the Maxima, and a passenger in the truck got out, entered the Maxima and drove off with the dog in the back seat. Photo courtesy of Long Beach Police Department. 6:30PM | A vehicle that was stolen this week with a health companion chihuahua in the backseat was found Thursday, but the dog is still missing, authorities said. The vehicle was recovered by Lakewood Sheriffs in a shopping center parking lot near Artesia Boulevard and Lakewood Boulevard. Police returned the car to the owner, the Long Beach Police Department (LBPD) said in a statement. 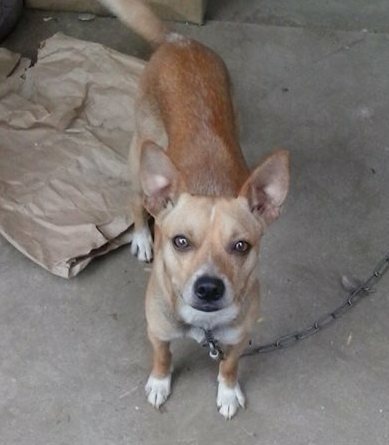 However, Sandy, the chihuahua who was in the backseat of the car when it was stolen, is still missing, police said. “There was no sign of Sandy in the vehicle,” the LBPD said in a statement. Police are still searching for the suspect vehicle, which has been described as a white full-size extended cab construction truck with a CA license pplate of 5RIA079. JANUARY 15 11:50AM | A Long Beach woman is desperately searching for her daughter’s companion dog, Sandy, who went missing when the woman’s car was stolen earlier this week. A preliminary investigation by the Long Beach Police Department (LBPD) found that Jody Thompson and her daughter parked their bronze 1985 Nissan Maxima, with the license plate 5RIA079, in a shopping center on the corner of Cherry Avenue and 68th Street and entered a Target store between about 6:30PM and 6:40PM. When they returned four minutes later, their car was missing and they called the police. 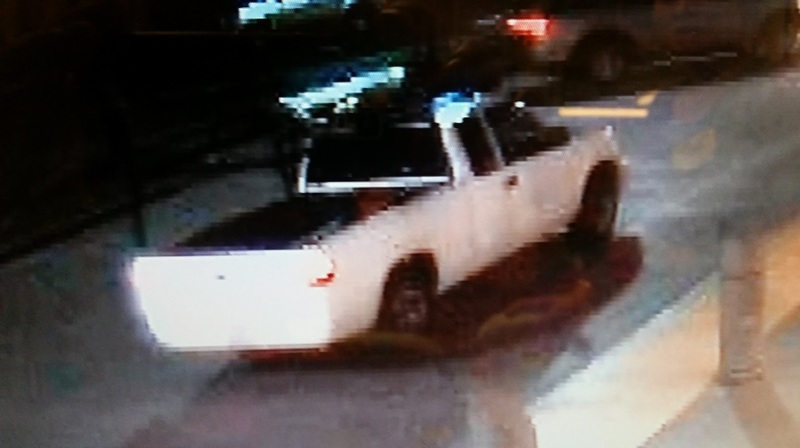 After viewing surveillance footage from the scene, detectives discovered that shortly after the vehicle was left unattended, a white full-size extended cab construction truck parked next to the Maxima, and a passenger in the truck got out, entered the Maxima and drove off with Sandy in the back seat. The truck then followed the Maxima and both cars left the area. “It is possible the thief was unaware of the dog’s presence,” the LBPD said in a statement. Sandy is described as a tan and white male Chihuahua mix, who is a companion dog to Thompson’s 19-year-old daughter, who Thompson said suffers from Nasopharyngitis and tonsillar hypertrophy. Sandy was wearing a metal chain type collar, but did not have an identification tag or identification chip, police said. Animal Care Services has been informed to be on the lookout for Sandy. Anyone with information regarding this incident or on the whereabouts of Sandy or the vehicle is asked to contact Long Beach Police Auto Theft Corporal Joe Starbird at (562) 570-7364. Anyone locating Sandy should contact Animal Care Services at (562) 570-7387.